Taste the possibilities. Branding refresh for Chef'd, the only no subscription meal kit service. 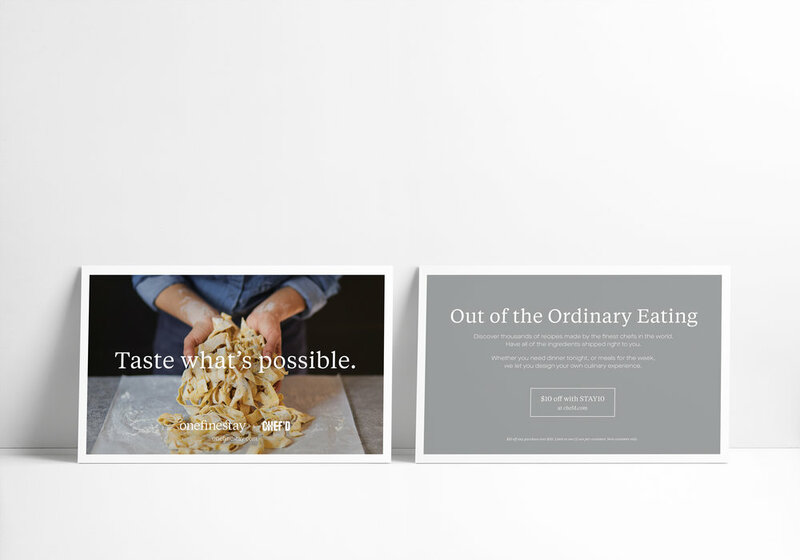 With over 1,000 recipes, hundreds of brand and celebrity chef partnerships, and a newly launched retail line, there was a need for streamlined messaging and cohesive creative across all mediums.